The morning began with the second round of qualifying, where top riders like Darren Berrecloth and Cameron McCaul had their chance to make the finals. Bearclaw was able to sneak into the finals, although he was one spot away from missing it entirely. 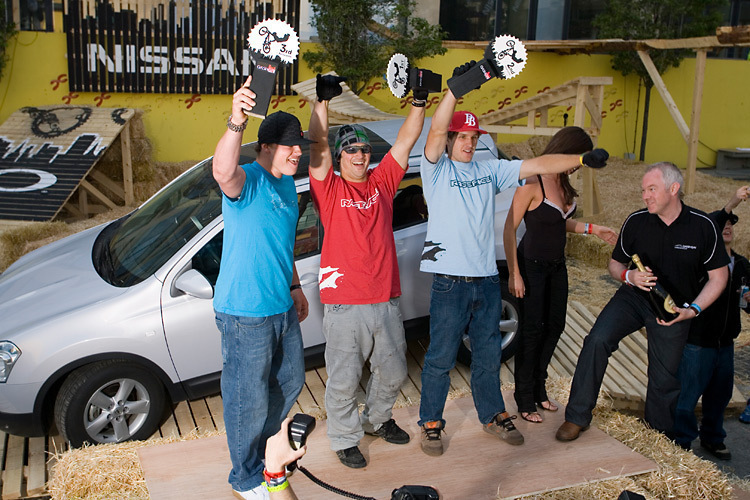 From the crowd, it seemed as though most of the tricks had been done on all of the obstacles, but after the first rider of the finals „Kyle Strait“ came through the course, everyone knew that the final round of competition would be an extremely exciting and creative session. The most original and insane trick to be attempted of the day came from the Frenchman Christopher Hatton. Hatton qualified in first place for the finals with some strong runs, but wanted to drop the hammer with a new trick. Hatton was seen strapping on a full-face helmet prior to his run, so the area was buzzing with anticipation when he stepped up to the drop-in. 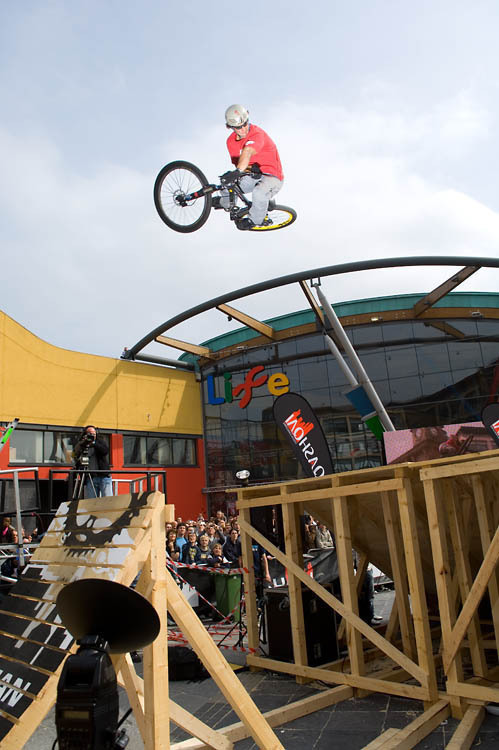 As he rolled in, everyone held their breath and Hatton attempted a 360-tailwhip off of the drop! 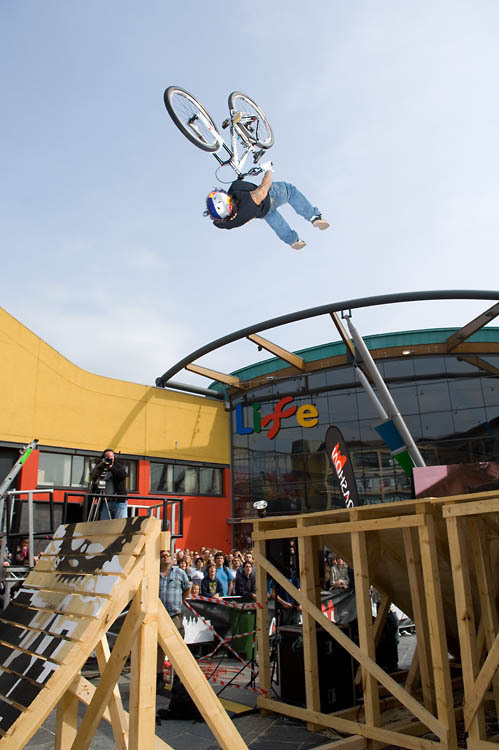 The 360 tailwhip drop didn’t come all the way around, but everyone was still cheering loudly and congratulating the crazy Frenchmen for his attempt. He finished in the end 5th place, which was his biggest success so far! At the end of the day, it was Darren Berrecloth who would take the first win of the tour and a nice payout of 8,000 euros! Paul Basagoitia took second place and Kyle Strait held on to the podium in third place. Champagne was uncorked and the riders celebrate their victories thru the night. 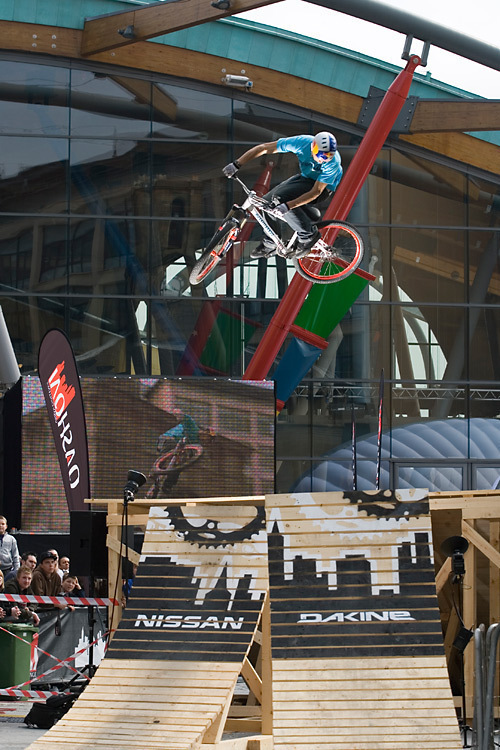 Visit the new Qashqai Urban Challenge website (www.nissan-qashqaichallenge.com) with information about each city, the events, rider bios about the invited tour riders and also the listings of the specialist riders for each discipline. 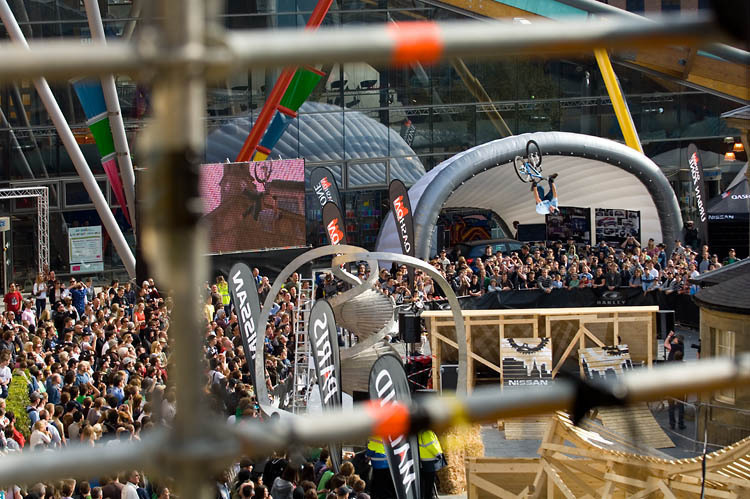 See you soon in Italy, because next weekend we’ll have the Qashqai Urban Challenge in Milan and this time it will be dirt jumps, so expect to see the maddest tricks right at the main station of Milan.